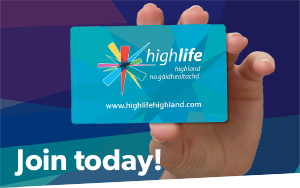 Learning for Life with High Life Highland in Nairn, Badenoch and Strathspey. 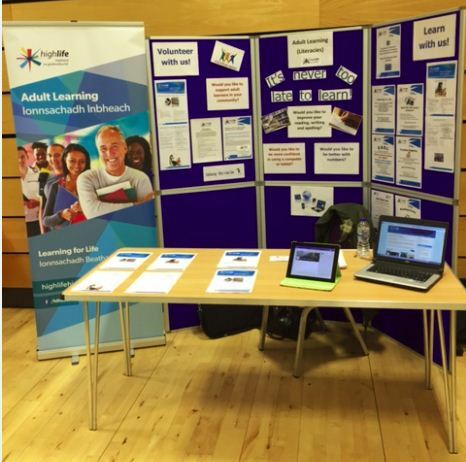 Did you know that High Life Highland has an Adult Learning team that can help if you want to improve and feel more confident about your reading, writing, spelling and number work? You can even work toward getting a qualification if you want. Another learning opportunity which might interest you is our accredited Volunteer Tutor Training course. People who have taken the course say that it’s interesting and informative. As well as this, we currently have other exciting learning projects happening in Nairn, Badenoch and Strathspey. Beginning on the 21st of October, this six week course is designed for those who have trouble keeping to a weekly/monthly budget. The course will help support people with the numeracy skills to budget money better, and give learners more confidence when handling their money. Beginning on the 28th of October, this six week course is for people who enjoy reading, but may not have the confidence to read as much as they like. The course will look at reading skills and support learners in feeling more confident and inspire them to read more. Set in the Library, the course will also look at how to become a library member, and the advantages that has. Wednesdays 1-4pm, Nairn Community and Arts Centre. Support for Job Seekers with the Universal Job Match system. We can support you with creating or updating C.V.s, preparing for interviews, friendly support and advice, help with job applications and help achieve confidence in working with computers. We have various ESOL groups running throughout Nairn, Badenoch and Strathspey. We can help support learners with Everyday English, in order to better integrate into their community. We also offer learners the opportunity to gain an accreditation in English. We also have other courses, such as a Computer group and an Employability group, coming up. More details to follow. Please take a look at our latest adult learning programme, Nairn Job Hub 2018 Timetable, as well as other programmes from our partner organisations, to see if there is anything which you might be interested in learning.